PALMVIEW — The Agua Special Utility District is backing down from a proposal to impose a candidate filing fee for anyone seeking a place on its board of directors. During a meeting Monday, the board had approved — pending legal review — a $1,000 filing fee for a candidate to be placed on the ballot. The current board, with Directors Ricardo Ochoa and Homer Tijerina voting against it, approved the measure after a discussion of the upcoming elections in May. However, Agua SUD issued a statement on Wednesday which clarified that, following the recommendation of legal counsel, a filing fee would not be required for the upcoming elections. The fee was initially proposed on Monday amidst discussions about the cost of holding the election, which is budgeted at $30,000 to be paid to the county. Board President Roger Hernandez proposed setting a candidate filing fee to offset some of those costs. The fee, Hernandez said during the meeting, would also help ensure only people who were serious about running filed to be on the ballot. Opposition for the filing fee from Ochoa, one of the board directors who voted against it, stemmed from the belief that it was unaffordable for many people living in the utility district. That argument was also made by state Sen. Juan “Chuy” Hinojosa, D-McAllen, who on Tuesday issued a statement in which he equated the fee to a poll tax and alleged the board directors were attempting to limit the number of people who could run for office. During Monday’s meeting, Frank Flores, the attorney for Agua SUD, suggested the fee could be waived for people who could not afford it. In his statement, Hinojosa went on to say the fees are not allowed unless a political subdivision, like Agua SUD, is specifically given the authority to impose such fees. 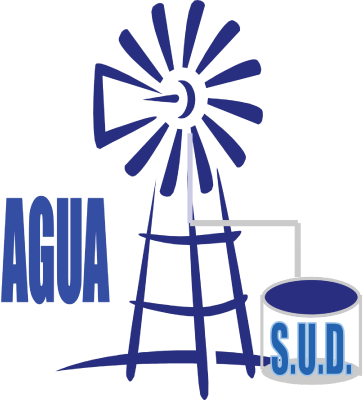 No such alternative to the filing fee was approved by the board on Monday but on Wednesday, before Agua SUD issued their statement, interim General Manager Jose E. “Eddie” Saenz said their legal counsel was in the process of determining whether or not the fee could be imposed. The result of that is now known and anyone eyeing a spot on the board of directors will not have to worry about paying an additionally $1,000 to run for office.